Identify and protect cultural, historical and paleontological resources. Minimize the extent and amount of ground disturbance. Restore the original grade and reclaim soil and vegetation. Protect wildlife and wildlife habitat. Minimize lighting in offsite areas. Protect human health by minimizing radiological exposure. Ensure the safe and proper transport of generated ore. In September 2011, a representative from Oregon Energy, L.L.C. (formally Uranium One), met with local citizens, and county and state officials, to discuss the possibility of opening a uranium oxide (“yellowcake”) mine in southern Malheur County in southeastern Oregon. Oregon Energy is interested in developing a 17-Claim parcel of land known as the Aurora Project through an open pit mining method. Besides the mine, there would be a mill for processing. The claim area occupies about 450 acres and is also referred to as the “New U” uranium claims. On May 7, 2012, Oregon Energy LLC made a presentation to the BLM outlining its plans for development for the mine. The Vale District has agreed to work with Oregon Department of Fish and Wildlife on mitigation for the “New U” uranium claims, which are located in core sage grouse habitat. 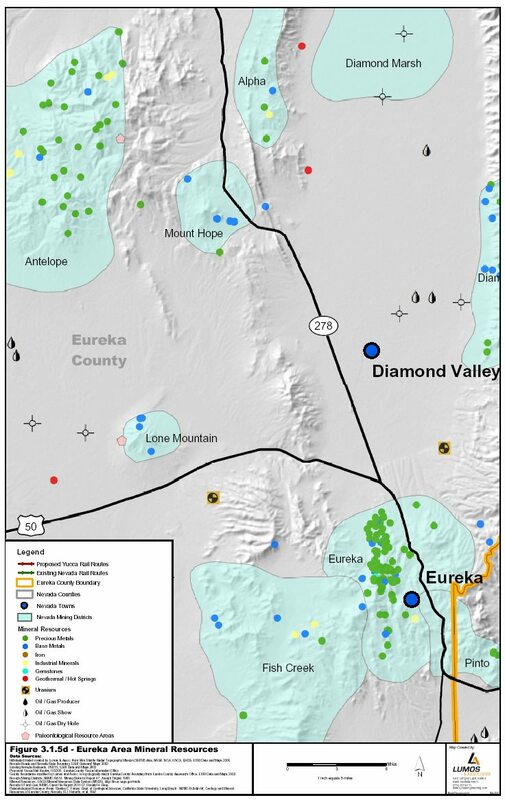 Although the lands encompassing the claims have been designated core, the area is frequented by rockhounds and hunters, and has a crisscrossing of off-highway vehicle (OHV) roads and other significant land disturbance from the defunct Bretz Mercury Mine, abandoned in the 1960s. However, by the fall of 2012 the company said that it was putting its plans for the mine on hold until the uncertainty surrounding sage grouse issues was resolved. Location information for the Aurora Project can be found on the “Non-Renewable Energy Projects of Oregon” map at this website: http://www.blm.gov/or/energy. What you do not realize is how insidious the taking of land is for the sale of Uranium. The sage grouse issue is to make people believe that all the land taking is to save something for the future generation. The Federal government has pushed through the sale which in turn pushes the purchase of property by any means. The BLM (federal organization) will harass property owners. They will lie to property owners, telling them they will be fined if they do anything on their own land that threatens a lizard, an owl habitat, a fish habitat, a sage grouse. The Federal agencies will even go so far as to put an innocent law-abiding citizen in Federal prison to accomplish their goal. Especially if that citizen is holding up a project. 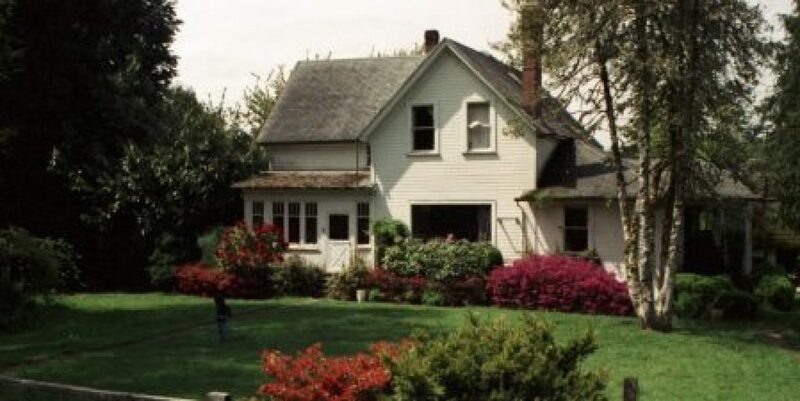 Uranium Connection and the land in Southern Oregon….. Agenda 21/Agenda 2030 at work thru our past secretary of state. I posted about Uranium One https://losingamericanland.com/2016/11/06/proof-of-uranium-one. Incidentally the Hammond Ranch is surrounded by the Malheur Wildlife Refuge. The out cry resulted in a take over of the Malheur National Wildlife Refuge and the murder of a man who had not even a parking ticket on his record. Yes murder is a harsh way to put the killing of a man by the FBI. The reasons why this happened goes deeper than the take-over of the wildlife refuge. The Uranium One deal had already been done and the project to start mining the Uranium was being held up by one rancher who would not sell his land to the federal government. Making it look like the reasons for doing all the land buying was the save the grouse campaign. When in fact it was a Uranium deal negotiated by the Federal government. Go to the mitigation plan and the environmental impact statement to see how much land is needed. The UN mandate to take the land for ecology purposes were also a front for acquiring the land in order to get at one of the bigger uranium deposits in the US. Incidentally there are large deposits of gold also. I discovered this during the Burns Oregon standoff January 2016. The mitigation of such a project usually takes large parcels of land to satisfy the UN mandates on ecology and wildlife. A mitigation plan does not actually take into account human lives that will be affected and they (the feds, the UN, government officials involved) do anything to force a sale of needed property. The facade of a payment looks good to the populous but the price is never a fair market value of the land. As a matter of fact all kinds of very interesting things happen to a persons land that is targeted by the BLM. Sudden devastating flooding, enormous fires, limited access, new regulations and even threats of jail time if you don’t obey an implied regulation and or policy. If a biologist has identified a possible, endangered species on your land, you will be fined and or arrested for endangering the said species. The devastation of flooding to a rancher is “Not only can you not grow your winter feed but it kills all of your perennial grasses” This can mean sure financial hardship. During the 1970’s the Fish and Wildlife Service (FWS), in conjunction with the Bureau of Land Management (BLM), took a different approach to get the ranchers to sell. Ranchers were told that, “grazing was detrimental to wildlife and must be reduced”. 32 out of 53 permits were revoked and many ranchers were forced sell. Grazing fees were raised significantly for those that did not sell. Refuge personnel(BLM) took over the irrigation system claiming it as their own. Human life on a ranch is a hard life but it is a life that people choose. If a person looks at what is going on within a 50 mile radius of the Hammond Ranch, the devastation that took place is appalling. Ranches were being bought up by the federal government. Call it BLM or some other agency working to complete a mitigation plan for the preparation to start a mining or multiple mining projects. Ultimately the injustice of the whole project has hit the core of many people and they took action by taking over the Malheur Wildlife Refuge, in order to make the American people aware of the unlawful methods of the Federal Government and their hired mercenaries. When connecting the dots the purchase of Uranium by the Russian company killed Lavoy Finicum and put an innocent hard-working rancher in Federal Prison. I must add that all “International Obligations” will trump any and all need to reserve, preserve or otherwise save land. Now that said there is an agenda at the UN that will force preservation of land, but that of course will be considered an “International obligation”. When any of the Federal alphabet soups are told to do something to meet the “International Obligation” all bets are off. The alphabet soup bunch will carry out any and all untoward actions to secure whatever obligation is required. Coercion, demonizing, destruction of life, destruction of property and imprisonment, to accomplish their goal. The alphabet soup bunch sees this as thier duty to accomplish the “International Obligation by any means”. Until the American people see this as truth and stand up to this it will continue to happen. In this that is why we see the continual abuse of the Bundy family, the Hammond family, Lavoy Finicum and many others that have never been put in the spot light, as these people have. More Uranium One and the need for Uranium…. Is NUCLEAR ENERGY Really GREEN? Canada is burning so more Nuclear weapons and power can be made! The following companies are performing uranium prospecting and/or exploration in Alberta: CanAlaska Ventures Limited , Firestone Ventures Inc. , International Ranger Corp. , Marum Resources Inc. , North American Gem Inc. , Geo Minerals Ltd. , AREVA Resources Canada Inc., Solitaire Minerals Corp. , Thelon Ventures Ltd. , Triex Minerals Corporation , Yellowcake PLC , Roughrider Uranium Corp., Fission Uranium Corp. , Tribune Minerals Corp. , Black Hawk Exploration Inc. , DNI Metals Inc. , Brazil Resources Inc.
TORONTO, January 30, 2015/CNW/ – Uranium One Inc. (“Uranium One” or the “Corporation”) today announced that it plans to discharge its outstanding unsecured subordinated debentures. The debentures, of which C$32.524 million principal amount is outstanding, are listed for trading on the Toronto Stock Exchange (the “TSX”) under the symbol “UUU.DB.A.” and are scheduled to mature on March 13, 2015. The Corporation intends to discharge the trust indenture governing the debentures, and to immediately terminate the debentures, as of February 5, 2015. Uranium One will pay to debentureholders of record as of that date the principle amount of the debentures, plus the interest payments on the debentures through to their scheduled maturity date. The funds will be deposited with the indenture trustee. As soon as it is practical after the discharge, the debentures will be de-listed from the TSX. In connection with the termination of the debentures, Uranium One applied to the securities regulatory authorities in each of British Columbia, Alberta, Saskatchewan, Manitoba, Ontario, Quebec, New Brunswick, Nova Scotia, Prince Edward Island, and Newfoundland and Labrador for a decision deeming it to have ceased to be a reporting issuer in such jurisdictions. If the requested decision is made by the securities regulatory authorities, the Corporation will cease being a reporting issuer in any jurisdiction in Canada and, as a result, will no longer be required to file financial statements and other continuous disclosure documents with Canadian securities regulatory authorities. The Corporation will continue to make the disclosures required to the holders of its remaining securities outstanding, being its Ruble Bonds Series 1 and 2 and the Senior Secured Notes issued by Uranium One Investments Inc. Uranium One is one of the world’s largest uranium producers with a globally diversified portfolio of assets located in Kazakhstan, the United States, Australia and Tanzania. ROSATOM State Atomic Energy Corporation, through its affiliates, owns 100% of the outstanding common shares of Uranium One. This press release contains “forward-looking statements” within the meaning of applicable securities laws that are intended to be covered by the safe harbours created by those laws, including statements that use forward-looking terminology such as “may”, “will”, “expect”, “anticipate”, “believe”, “continue”, “potential”, or the negative thereof or other variations thereof or comparable terminology. Such forward-looking statements may include, without limitation, statements regarding the completion of the proposed discharge of debentures and other statements that are not historical facts. While such forward-looking statements are expressed by Uranium One, as stated in this release, in good faith and believed by Uranium One to have a reasonable basis, they are subject to important risks and uncertainties which could cause actual results to differ materially from future results expressed, projected or implied by the forward-looking statements. As a result of these risks and uncertainties, the results or events predicted in these forward-looking statements may differ materially from actual results or events. These forward-looking statements are not guarantees of future performance, given that they involve risks and uncertainties. Uranium One is not affirming or adopting any statements made by any other person in respect of the proposed discharge of the debentures and expressly disclaims any intention or obligation to update or revise any forward-looking statements, whether as a result of new information, future events or otherwise, except in accordance with applicable securities laws, or to comment on expectations of, or statements made by any other person in respect of the proposed transaction. Investors should not assume that any lack of update to a previously issued forward-looking statement constitutes a reaffirmation of that statement. Reliance on forward-looking statements is at investors’ own risk.